That was a bit of an eeeeeek week last week. 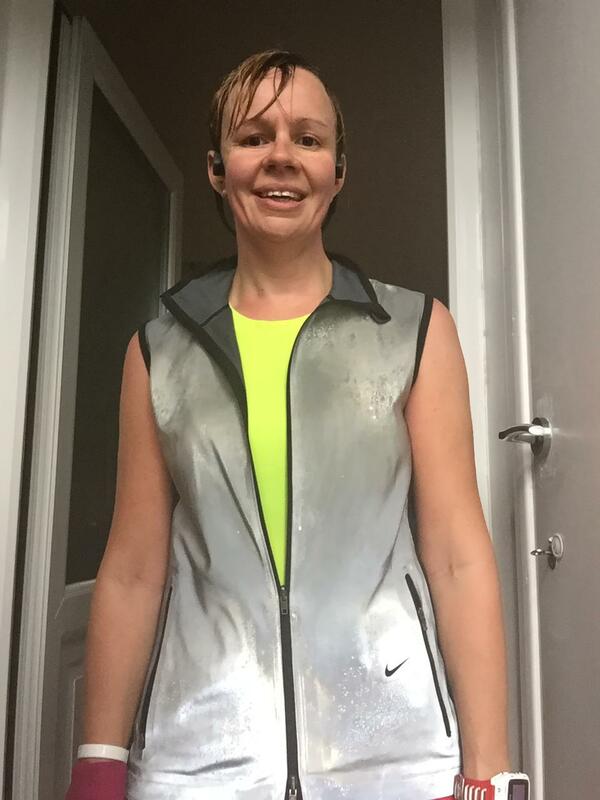 I’d decided id take some rest (sore feet: plantars and toe joints) so I ditched my 18 mile run the weekend before, and didn’t get back up and running until Thursday last week. A whole week off running. :-S it was a little unsettling but felt fine. 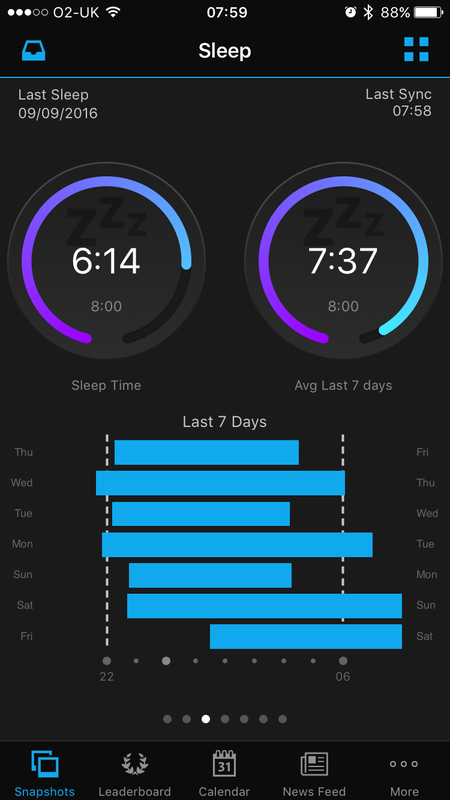 My sleep wasn’t good, I think I averaged around 6-8 hours a night, but I was busy at work do that took over. I kept waking up in the middle of the night, not able to get back to sleep, but that seems to have settled down now. 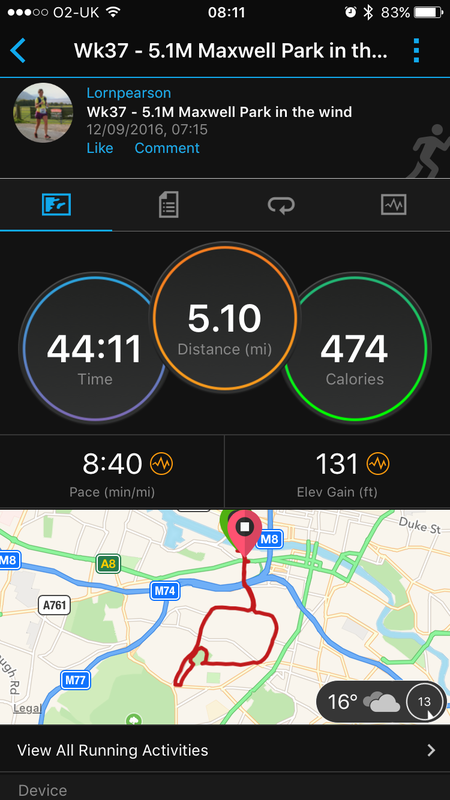 I managed a coaching run in the Thursday night, then a 5 mile run on the Friday morning. And we got our long 20 mile run out of the way on Saturday morning too. So about 31 miles for the week. Rest and taper time I guess. 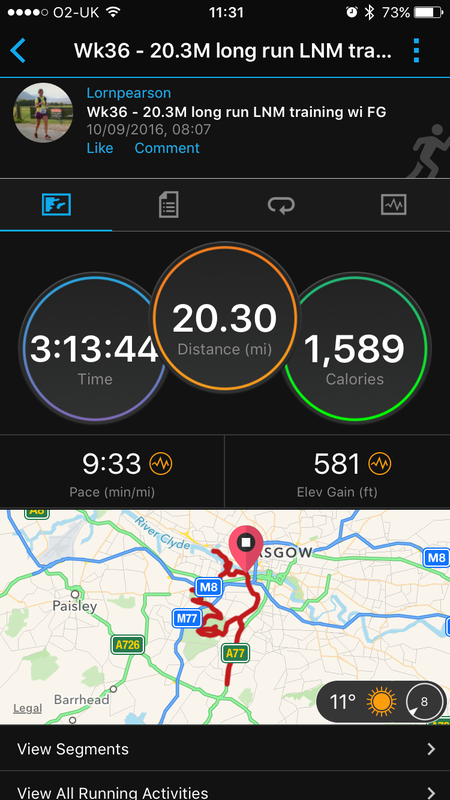 We went all over Glasgow including loops in Pollok park (Fit Girl chose the route). Then it was a restful weekend after that, including a nap on Saturday afternoon and eating out a lot (and a rest day on Sunday). Fast forward to this week and after the rest, my feet feel better and I feel well rested. I’m still feeling something in my plantars (left particularly), but I’m feeling good. 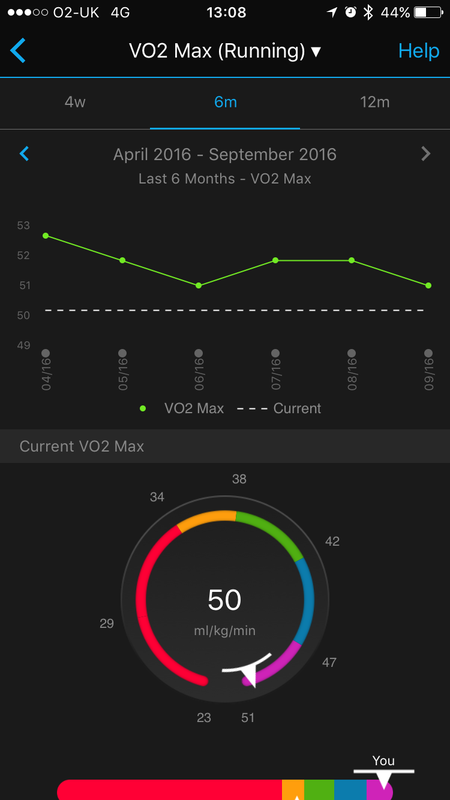 My vo2 max estimate was 53 when I ran 3:37 at London marathon, and 55 when I ran 3:32 at Belfast marathon, so the higher it is, the faster I seem to be able to run my marathons. I’ll see if it increases with regular running in the next few weeks. (Fingers crossed). 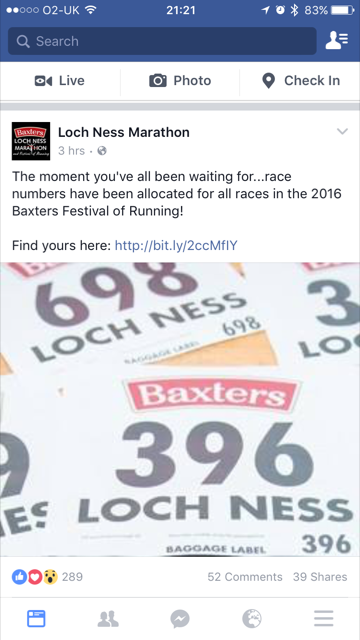 Not long to go now! I’m really looking forward to it.